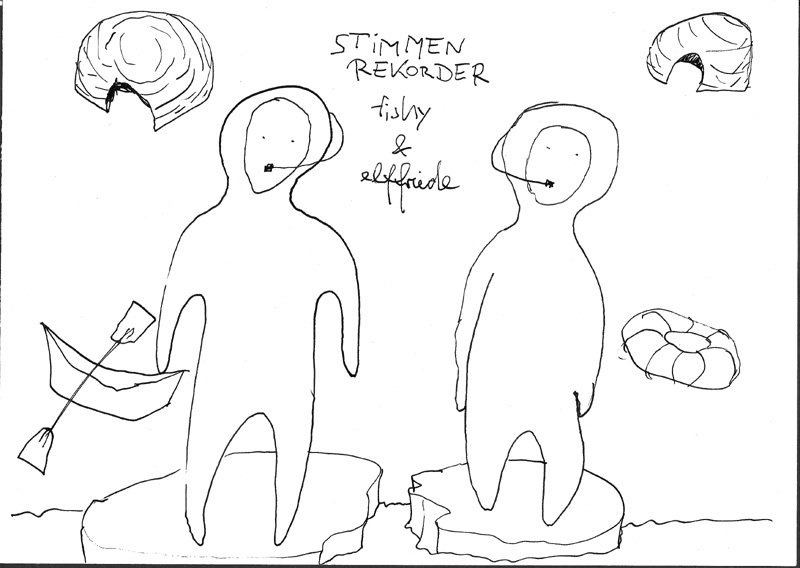 "stimmenrecorder III und oder Husten"
stimmenrecorder / voice recorder by the artists elffriede.aufzeichnensysteme & fishy / das schaufenster is a made-up format, project and dialogue between the two figures. „voice recorder“ is a dialogic, sequential live-performance consisting of two elements. A pre-recorded one and one which is interpreting, overlapping, crosstalking, commenting, subverting and rupturing the performance of both figures, elffriede.aufzeichnensysteme & fishy / das schaufenster. In the Kunstradio live situation the artists will talk over a recorded dialogue, which they specially recordered for this purpose.